"I have often used, and commented about it on this blog, Matthew Hazell's highly important Index Lectionum, which reveals the way Holy Scripture was censored in the post-Conciliar 'reforms'. 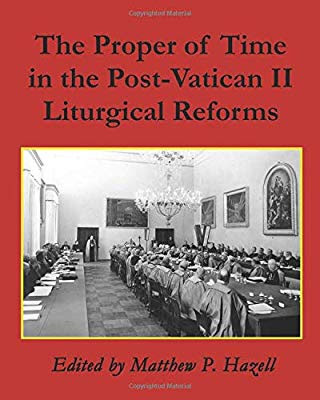 It is a pleasure to commend his latest scholarly work, The Proper of Time in the Post-Vatican II Liturgical Reforms (ISBN: 978-1-7307-9522-0). It deals with how the euchology ... collects, secrets, postcommunions ... fared during this same period. To be precise, this book homes in on one particular moment of the 'reform' process, schema 186 of September 1966 ... I will call it '1966'. This important and revealing document is hitherto unpublished. What I find fascinating is the glimpse this gives us of a particular moment in the development of the mindset of the 'reformers'. 1966 is much more conservative than what eventually emerged as the Missal of S Paul VI. Simplifying a little, one could liken 1966 to a garment which has become rather frayed over the years and needs to be repaired. So the authors suggest how it can be repaired, smartened up, and made good for use for another few hundred years. The Missal of S Paul, on the other hand, seems in comparison more like the product of a decision that the garment is totally unfit for use and needs to be dumped, so as to make way for a completely new product. I offer just one insight into the mindset of the 'reformers': since we are near the start of Advent, let us consider their treatment of the Sunday collects for Advent. Three of these had been addressed to God the Son. 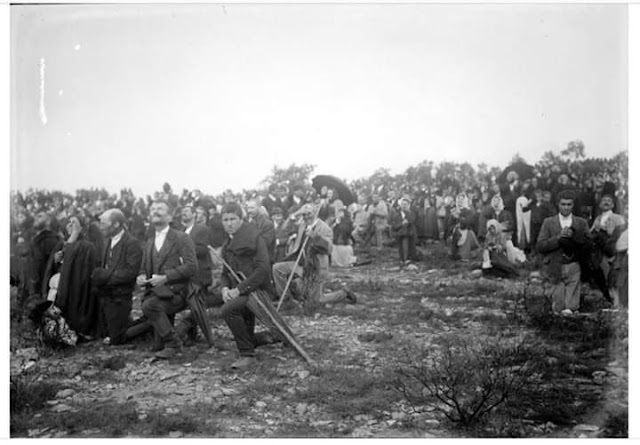 The 'reformers' stated that it was now universally agreed that Prayer should be addressed to God the Father through the Son, in the Holy Spirit. What about the collects of Advent? This is what they say: "On account of their antiquity and more venerable character, we have not changed them". Read that again! "We have not changed them"! See! They still have some sense of respect for the prayers of the ancient formulae! They are not willing to bowdlerise without explicit permission from above! But in S Paul VI, those Advent collects disappear from the Sundays of Advent. They are removed to weekdays, where some of them (but not all) are reformulated so that they are addressed to the Father. My own view is that it is precisely the unexpectedly direct appeal to the Lord Jesus Who is coming to judge ("Come Lord ... do not delay ... stir up thy power ...") which gives these old prayers their impassioned sense of direct urgency. Their loss, at the Sunday synaxis, represented a real impoverishment of the spirituality placed before God's people by their Liturgy. They woz robbed! A study of the documents recording the process of the revision of the hymns of the Breviary would reveal exactly the same process by which the Coetus concerned only gradually liberated themselves from respect for Tradition. These studies give the lie to the claim that 'the Council' had mandated the Pauline 'Reform' as that catastrophe eventually emerged. The persons actually engaged on that 'reform' in the mid-1960s were manifestly completely unaware that 'the Council' had mandated anything so radical. This whole narrative reveals the growth of an attitude of bland, insolent, mendacity. The Missal of S Paul VI is not what the Council Fathers thought they were voting for. That is why even the most soundly traditionalist Fathers, such as Archbishop Lefebvre, voted for Sacrosanctum Concilium. We cannot expect young and able scholars to produce important work like this book unless we buy and study what they produce!" The Papa Stronsay Calendar is the annual offering of the Transalpine Redemptorists which enables you to easily and fruitfully follow the Church's traditional liturgical cycle. Possibly the best Traditional Catholic wall calendar on the market, it gives you each day's feast, class and liturgical colour, the lunar calendar, traditional days of abstinence, traditional feasts which are not on the universal calendar, national public holidays for six English-speaking countries, major astronomical events, and so much more, including a whole array of beautiful images which truly make this calendar a feast for the eyes! For a more in-depth examination of the Papa Stronsay Calendar, you can see this video for the 2016 Calendar:https://www.youtube.com/watch?v=OfBZN... To order copies of the 2019 Papa Stronsay Calendar, please visit our Website: papastronsay.com/calendar. Labels: Papa Stronsay Calendar 2019. Out Now! Please note that the Cheltenham YCA group is not always meeting in the Old Priory. For forthcoming events please look a:- http://cheltenhamcatholicadults.blogspot.com/. Archbishop Viganò’s message to U.S. Bishops, dated November 13. I am writing to remind you of the sacred mandate you were given on the day of your episcopal ordination: to lead the flock to Christ. Meditate on Proverbs 9:10: The fear of the Lord is the beginning of wisdom!Do not behave like frightened sheep, but as courageous shepherds. Do not be afraid of standing up and doing the right thing for the victims, for the faithful and for your own salvation. The Lord will render to every one of us according to our actions and omissions. November 13, 2018 Saint Frances Xavier Cabrini. " An Unlikely Helper The extraordinary story begins on the night of July 18, 1830, when a mysterious child awakens Sister Catherine Laboure. The child leads her to the convent's chapel. There, Sister Catherine sees the Virgin Mary, sitting in a chair. She kneels beside Mary, and rests her hands in the Virgin's lap. The two speak for several hours. During the conversation, Mary promises she will return and give the young nun "a mission." The child leads Catherine back to her bed. Catherine hears the clock strike 2 a.m., July 19. A little more than four months later, Sister Catherine learns what Mary wants. During her evening meditation on Nov. 27, 1830, Catherine has a vision of Mary standing in a position similar to the depiction on the medal. Later, the vision changes to include the inscription found on the front side of the medal. Mary speaks to Catherine, saying, "Have a medal struck upon this model. Those who wear it will receive great graces, especially if they wear it around their neck." Iconic Attraction It was as Mary said. The medal's effects were immediate. The first medals were made in 1832 and distributed throughout Paris. According to the Association of the Miraculous Medal, the blessings that Mary promised "began to shower down" on wearers of the medal. The devotion spread rapidly. In 1836, a Church investigation declared the apparitions to be genuine. Since Mary asked Catherine to have the medal struck, devotion to the Miraculous Medal has spread the world over, the image having achieved iconic stature. But what does the medal mean? In answering that, one discovers why it works. • Mary stands on a globe, crushing a serpent beneath her feet. Describing the original vision, Catherine said the Blessed Mother appeared radiant as a sunrise, "in all her perfect beauty." • Rays shoot out from Mary's hands, which she told Catherine, "... symbolize the graces I shed upon those who ask for them." • Immaculate The words, "conceived without sin"
• Mediatrix Rays from her hands symbolizing "graces"
• A cross-and-bar surmounts a large, bold "M"
• The large letter "M" — Mary as Mother, Mediatrix. • Cross and bar — Jesus' cross of Redemption. • 12 stars — 12 Apostles, who formed the first Church. • Left Heart — The Sacred Heart, who died for our sins. • Right Heart — The Immaculate Heart, who intercedes for us. • Flames — The burning love Jesus and Mary have for us. The Association of the Miraculous Medal, in Perryville, Mo., notes that there is no superstition or magic connected with the Miraculous Medal, nor is it "a good luck charm." Rather, it is "a testimony to faith and the power of trusting prayer. Its greatest miracles are those of patience, forgiveness, repentance, and faith." ( Association of the Miraculous Medal, 1811 W. St. Joseph St., Perryville, MO, 63775). Labels: What is Mary's Miraculous Medal? This is our monthly reminder to please enroll Souls of the Rorate Caeli Purgatorial Society. 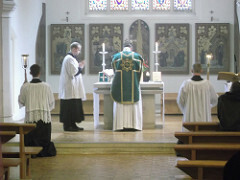 We now have 89 saying monthly and weekly traditional Latin Masses for the Souls. 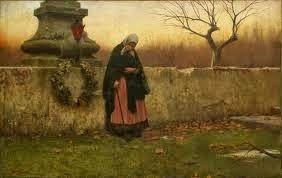 "For all the souls enrolled in the Rorate Caeli Purgatorial Society: Eternal rest grant unto them, O Lord, and let perpetual light shine upon them. May their souls and the souls of all the Faithful departed rest in peace. Amen." who offer Masses for the Purgatorial Society. increase in them a love for Thee. to all who seek to follow in Thy path. The regular first Wednesday Latin Mass at St. Gregory's Church, Cheltenham, will take place on 7th Nov at 7pm in the Old Priory Hall. Please note, that sadly there has been a message that this Mass will be cancelled unless more people attend. Attendance has dropped since the Mass was moved to the Church Hall (there are no kneelers etc. ); before this, attendance was c.20-40,which is very healthy for a weekday. Hopefully the Mass will be back in the main Church in December (unless it has already been discontinued by then). "NLM is pleased to present the following transcription of an interview conducted by Julian Kwasniewski with the Most Reverend Alexander K. Sample, Archbishop of Portland, in connection with the Sacred Liturgy Conference in Salem, Oregon, June 27–30, 2018. Much of what his Excellency says is highly pertinent to the Youth Synod taking place at the Vatican this month. This interview is published here for the first time. JK: How would you relate this experience of Eucharistic adoration to your episcopal motto: Vultum Christi Contemplari. What does your motto tell us about what you just said? AS: I took my motto from the writings of St. John Paul II, who I consider my patron saint, quite honestly. 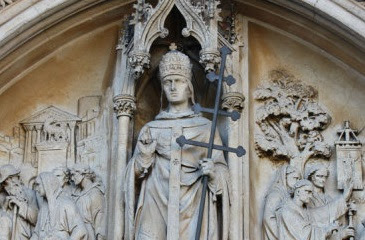 I have no connection to him by name, but I really do consider him my patron saint now. He has been a great inspiration to me; I’m not sure I would be a priest today if it was not for him. 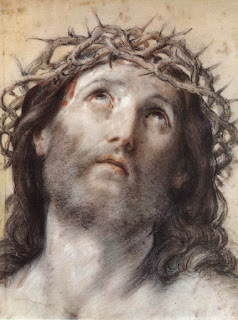 This idea of contemplating Christ’s face was something that John Paul II wrote a lot about. In Novo Millenio Ineunte, he recalls the scene in the Gospels where the Greeks come to Philip and they say, “We want to see Jesus.” The Holy Father picks up on that idea and says that this question, “we want to see Jesus,” is a question that is really in the heart of every person in the world today. Even if they don’t know it, they want to see the face of Jesus. He said they don’t want Christians just to talk about Christ — the world wants us to show them Christ. That’s our job: to let the light of Christ’s face shine before the generations of the new millennium. But, he goes on to say, our task would be hopelessly inadequate had we not first contemplated His face. So he said we must contemplate the face of Christ. We must know Him intimately and deeply, we must cultivate that close personal relationship with the Lord, in order for us to show Him to the world. It’s very close to my own spirituality of prayer and being in the presence of the Blessed Sacrament and just contemplating Christ’s presence in His Face. This is where my motto came from. Later, in his last encyclical, Ecclesia Dei Eucharistia, John Paul II put it very bluntly: This is the task that I have set before the Church at the beginning of the new millennium, Vultum Christi contemplatri, to contemplate the face of Christ. And then he also speaks of the Marian dimension which he develops in his pastoral letter on the Rosary, that we contemplate the Face of Christ through Mary in the praying of the Rosary. JK: Do you think the pope’s emphasis on contemplation is related to the problem of activism in our times? AS: Yes. John Paul II is saying, “Church: This is your task. To first contemplate the face of Christ ourselves so that we may then let it shine before the nations.” Since we cannot give to the world what we do not have, we must first know Christ before we bring Him to others. For a Catholic in the world (not a contemplative religious), there must be a balance between contemplation and work, knowing Christ deeply and intimately, adoring him in prayer, in order for one to effectively carry on the apostolic works of the Church. AS: That’s a very good point, and it’s a point I made in the homily I gave at the Solemn Pontifical Mass at the National Shrine in Washington D.C. You know, the Church was filled with young people! 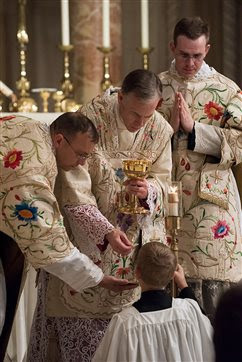 A lot of times, priests expect that if you go to a Traditional Latin Mass according to the 1962 missal, the church will be filled with grey hair, old people filled with nostalgia for days gone by, and that they have a sort of emotional attachment to the liturgy they grew up with. JK: What, in your view, accounts for that attraction? I think young people are drawn to it because it feeds a spiritual need that they have. 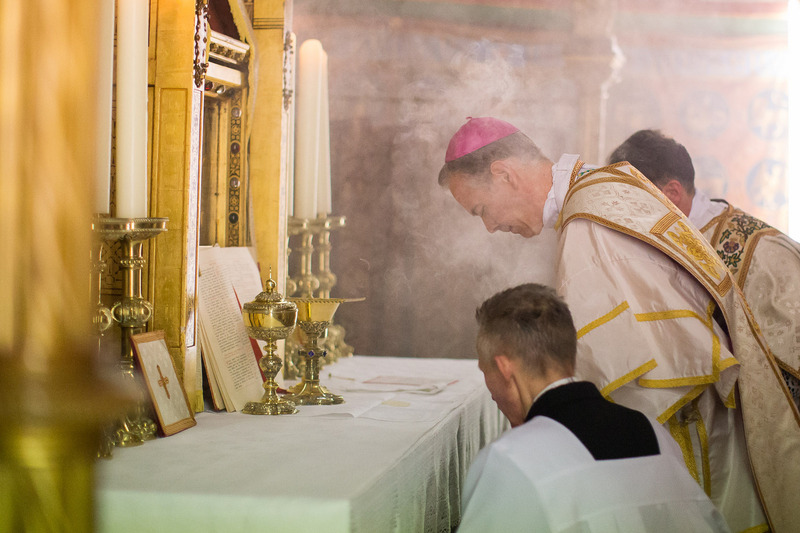 There is something to this form of the liturgy, in and of itself, that speaks to the heart of youth. Young people will continue to discover this, and they will be the ones who carry forward the Extraordinary Form when the older generation goes to their reward. Certainly this will be young people of your generation, but ... I’m 57. 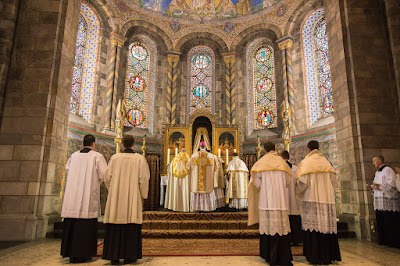 I was baptized in the old rite, but by the time I was aware and cognizant of Mass, we had already come to the new liturgy. So everybody younger than me has no experience really of this liturgy. Anyone under my age could be considered “young” in discovering this beautiful liturgy! JK: Your Excellency, what would you say is the most important element of tradition for the Catholic youth to hold and cherish at this time? AS: I think what young people need to do first is to discover — and many have — the Church’s tradition. Many young people have been deprived, in a certain way, of our Catholic heritage, of the great tradition which is ours in the Catholic Church. I know for myself I feel I was ... I don’t want to say cheated because that sounds like someone did it intentionally out of ill will for me ... but I feel like I was deprived of real teaching and appreciation and contact with my Catholic culture and my Catholic tradition and where we come from. I lived in and grew up in an age when there was this attitude that the Church had, in some way, hit a reset button at Vatican II, and that we could let go of all the past, as if the Church needed a new beginning and a fresh start. You are far too young to have lived through that experience, and you are very blessed to live in the time that you do, because there was nothing like this for me when I was growing up. I grew up in a time when all of those things in the past had to be cast aside. Even something as simple as the Rosary, it was kind of discouraged — or if not discouraged, it was certainly not encouraged. I never saw Eucharistic Exposition and Benediction until I was a college student. I never knew such a thing existed. I grew up when there was a lot of experimentation with the Mass, always trying to make it “fresh and new.” There was a period of time growing up when you came to Mass on Sunday, and you just didn’t know what was going to happen next! The changes were coming so fast, and not just changes but experimentation and aberrations. So I was deprived of any contact with my tradition; I discovered it, on my own, as a college student. JK: Was the liturgy the only area in which you felt deprived of contact with tradition, or are you speaking more broadly? AS: In ‘tradition’ I would certainly also include the teachings of the Church that I never learned. I never understood what the Mass was — and I went to 12 years of Catholic school. If you has asked me what the Mass meant, I would probably have told you that it was a reenactment of the Last Supper, the last meal which Jesus shared with His disciples and in which He gave them His Body and Blood ... which is part of the truth. But the idea that the Mass was in any way a sacramental re-presentation of the paschal mystery, that Christ’s sacrifice on Calvary was made truly, sacramentally present at the altar — and that it is an altar, and not just a table! — that would have been a foreign idea to me. So certainly part of the tradition is that young people need to be deeply in touch with the Faith, what we believe, what the Catechism teaches. Young people must not take it for granted that what they have received in education (whether in a Catholic school or a religious education program) is an adequate formation in the Faith. They need to really delve into the teachings of the Church, the Catechism, they need to read good, solid books and articles, and other media forms, whether internet or movies. So that is part of it. But of course, a big part of our tradition is our liturgical tradition. It’s in our DNA — and that’s why many are attracted to the traditional forms of the liturgy — because it’s in our Catholic DNA. Young people need to acquaint themselves with the richer, deeper tradition. Vatican II did not hit a reset button. Although, perhaps, the tradition needed to be renewed and refreshed, it never was meant to be destroyed or cast aside. JK: Would you put sacred music into this category, too? AS: The rich liturgical tradition of the Church includes her sacred music. We don’t have to have pop music at Mass. The first time I heard Gregorian chant was when I was a college student. I’d never heard of chant before. When I heard it in a music appreciation class at a secular university, I hadn’t a clue what it meant, but it instantly spoke to my heart—instantly. The first time I heard it I was moved, really moved. So there is this rich liturgical, sacred music tradition that we need to recapture, recover, that young people need to learn about. Moreover, we should all have devotions in our life. Devotions extend what the liturgy begins. Things like the Rosary, the chaplet of Divine Mercy, Eucharistic Adoration, other devotions to the Blessed Virgin, having favorite saints, patron saints that you pray to, Stations of the Cross…All these rich parts of our Catholic devotional tradition feed the life of faith and extend what we experience in the sacred liturgy, but also lead us back to it. AS: I’d say there is a tendency sometimes to see these things — doctrine, liturgy, devotions — in opposition to things like works of charity, works of mercy. 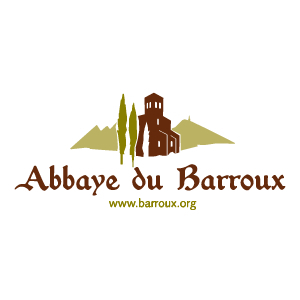 I would emphasize that we must not get to a place where all we are concerned about is being of right doctrine (orthodoxy), having right liturgy (orthopraxy), good sacred music, that we are doing all the right devotions. If we are not doing works of mercy, the corporal and spiritual works of mercy, if we are not taking care of the poor and disadvantaged, then we are not living fully our Catholic faith. That’s part of our tradition too! 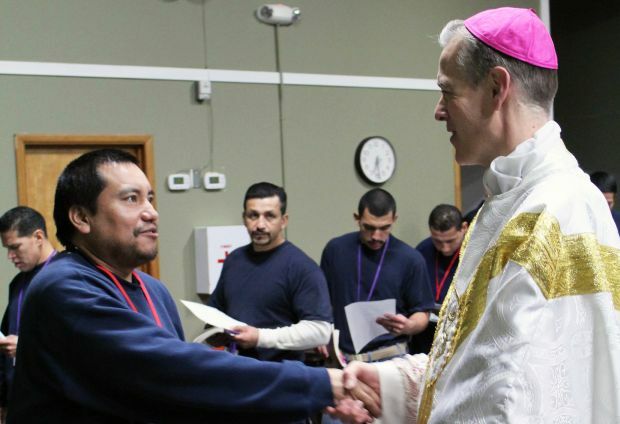 I think traditional-minded Catholics should not let, perhaps, the more liberal elements in the church co-opt the works of justice and mercy as being “something of the new Church.” Catholics have always been steeped in the corporal and spiritual works of mercy. The Church of the ages is the one that built hospitals and took care of the sick and the poor and the dying, built schools to educate poor children without opportunities. The works of justice and mercy are also very much a part of our tradition, and I would caution young people not to get so focused on the other elements we spoke of that they forget that Jesus teaches us to love, to serve those who are in need. Remember the parable He gives us on the Last Judgment, when he separates the sheep from the goats. He does not separate them based on whether they are praying the traditional prayers or not. He separates them based on “when I was hungry did you feed me, when I was thirsty did you give me to drink, when I was homeless, did you shelter me, when I was sick and in prison did you visit me?” This is the basis of the judgment… it’s not an either/or! 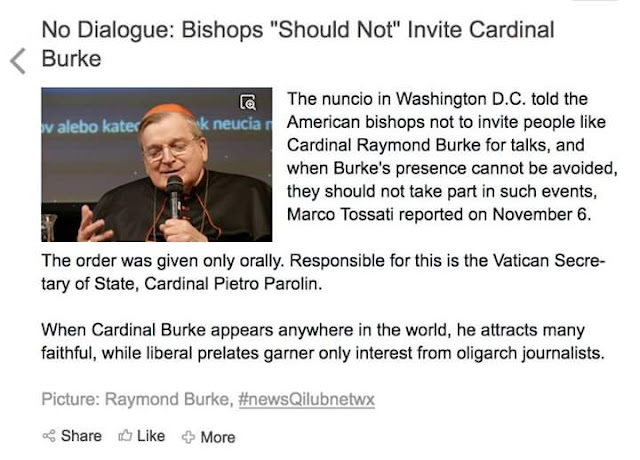 This is a tendency I see: if you are a “progressive Catholic,” you are all about the social justice issues, taking care of the poor, working for justice and everything, but your liturgical worship tends to be a bit off and maybe you reject other moral teachings of the Church, while sometimes traditionally-minded Catholics are characterized as being all about the Mass, and right worship, right music, right devotions, the right vestments, orthodox teaching, and don’t care so much about the poor and works of mercy. We’ve got to pull this together: it is not an either/or, it is a both/and in the Church. The works of mercy go back to the apostolic times, go back to the Acts of the Apostles; as St. Paul says, we must always take care of the poor. This is deeply traditional in our Church."